Our Michigan car accident lawyers frequently represent clients injured in auto accidents in which a negligent driver runs through a red light and causes the accident. Running red light accidents are a common cause of serious injury accidents because these crashes are often at high speeds. The unsuspecting car accident victim is not prepared for the crash and often has little or no time to take any action to avoid being struck by the other automobile. Failing to obey the instructions of the traffic control signal located at the aforesaid intersection which did then and there show red against the passage of the drive, in violation of Mich. Comp. Laws Ann. §257.612. Failing to yield right-of-way to the vehicle of the plaintiff which was then and there lawfully within the intersection, in violation of Mich. Comp. Laws Ann. §257.612. In addition to these specific laws on failing to stop at a red light, there are other claims for general negligence that our auto accident attorneys use to prove and win a red light accident case. How do I Prove who was at Fault for my Red Light Car Accident? In most cases, a police officer did not witness the car accident. The officer will determine fault for the accident by interviewing the drivers and other witnesses to get their versions of the crash. The officer will also examine the vehicles for evidence of speed, point of impact, and other factors that give clues to the cause of the accident. Many times, surveillance cameras on buildings close by capture the accident on video and this can be used to help determine which driver was at fault. Your traffic crash report will contain information about witnesses, road conditions, lighting conditions, and other observations made by the police officer. Our attorneys get these reports immediately and begin our own investigation. Quite often, we are able to prove that the police officer’s determination of fault was incorrect. We do this by having witnesses interviewed by our own experienced investigators, obtaining surveillance film, and getting cell phone records to prove that the other driver was distracted by talking on the phone or texting while driving. Do I Get No-Fault Insurance Benefits After a Red Light Accident? Michigan is a no-fault insurance state. This means that every automobile is required by law to be covered by a no-fault insurance policy. This policy provides coverage and valuable benefits to anyone injured in an auto accident. No-fault benefits (or "PIP" benefits) include payment of medical expenses, lost wages, attendant care services, household services, medical mileage, home modification, and other benefits. You may be entitled to these benefits even if you did not own a car or have your own auto no-fault insurance policy. Our attorneys will determine which insurance company must pay your benefits and will then assist you in filing your claims. Can I Sue a Driver who Ran a Red Light and Hit my Car? If another driver ran a red light and caused you a serious injury, you can file a lawsuit against that driver and the owner of the vehicle for your personal injuries. Under Michigan law, you must prove that you have a serious injury and that it affected your ability to lead your normal life. This could mean being in pain, requiring medical treatment, missing time from work, and not being able to participate in your normal hobbies and activities. 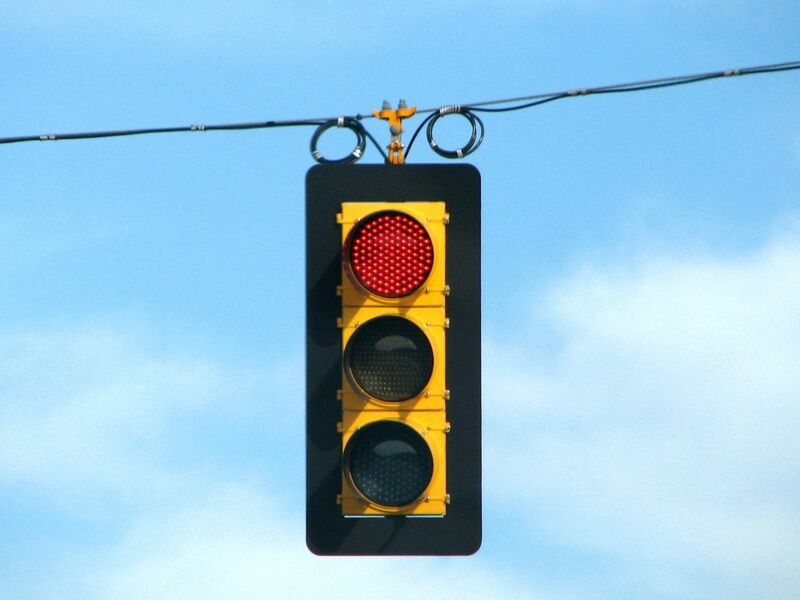 How Much Are Settlement Amounts in Red Light Accident Lawsuits? There is no guideline or calculator used to place a value on a red light auto accident settlement. There are many factors that an attorney and insurance company use to determine the value of a car accident case. Factors include the percentage of fault of each driver, the seriousness of the injuries, the type of medical treatment, and the presence of any scars or disfigurements. Another factor is the length of time of disability and inability to perform activities due to the accident. Additionally, the insurance policy limits of the negligent driver and the owner of the vehicle also play an important factor in determining your settlement amount. Every auto accident case is different and only an experienced attorney can get you the maximum possible settlement for your case. Our own book, written by Michigan auto accident lawyer Daniel L. Buckfire, "The Ultimate Michigan Car Accident Handbook," will answer all of your questions, in plain English, about your legal rights against negligent drivers as well as your available benefits under the Michigan No-Fault Law. We'll send it to you for FREE! We will represent you in your car accident in Michigan case under our NO FEE PROMISE. This means that you will not be charged any legal fees whatsoever unless we obtain a settlement or recovery for you. You have absolutely no obligation for legal fees unless we win your case. If we do not obtain a settlement for you, you owe us nothing! For more information about your rights after a Michigan auto accident, call us at (800) 606-1717 to speak with an experienced car accident attorney or fill out the Get Help Now box on this page and an attorney will call you shortly.